This review and giveaway is coming from My Brest Friend. 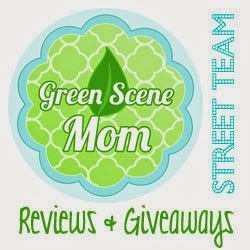 This is the second review and giveaway I have posted for them. Today's review is going to be on their Pregnancy Wedge which retails for $15.95. It comes in one color and it is really nicely made. The My Brest Friend Pregnancy Wedge can be placed behind your lower back for lumbar support, under your belly for sleeping support or between your legs for better hip, leg and back alignment. It is a versatile support cushion for back and belly during or after pregnancy. I have also been using this while TTC (trying to conceive) I use it as added support under my booty. I do put a towel over top of it when I use it as it gives an added tilt. So to me this is a multi purpose pillow. I am using it while trying to get pregnant and I will also use it for belly support. My Brest Friend carries many different products that I consider very high quality. They have lots of different products for new moms,and moms to be also. Want to win a Pregnancy Wedge of your own? Angie , I don't see a rafflecopter form on this post.